Set in the heart of the Sussex downs, Charleston Farmhouse is the most important remaining example of Bloomsbury decorative style, created by the painters Vanessa Bell and Duncan Grant. 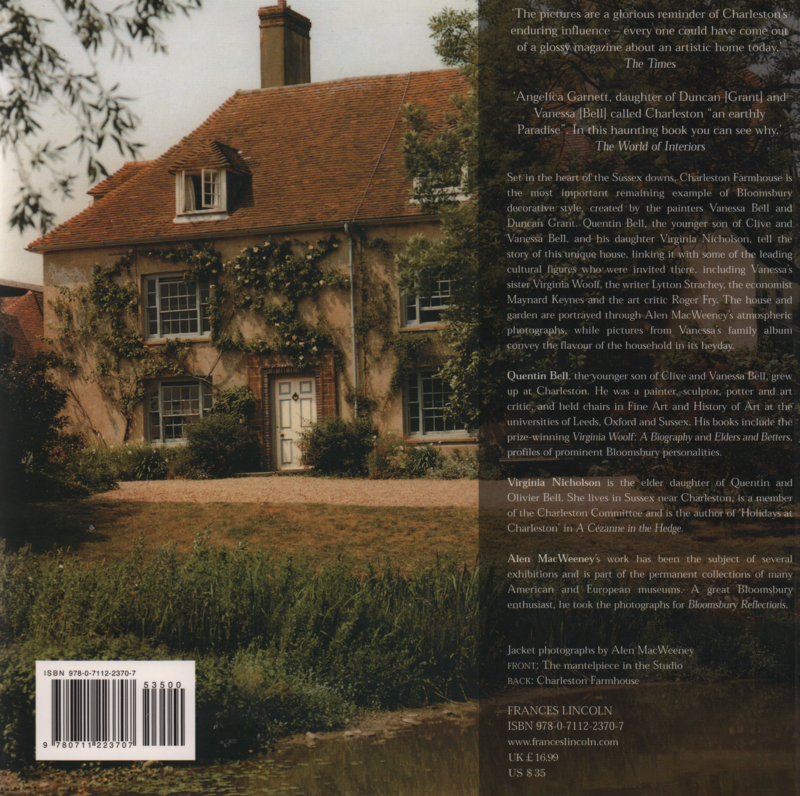 Quentin Bell, the younger son of Clive and Vanessa Bell, and his daughter Virginia Nicholson, tell the story of this unique house, linking it with some of the leading cultural figures who were invited there, including Vanessa's sister Virginia Woolf, the writer Lytton Strachey, the economist Maynard Keynes and the art critic Roger Fry. The house and garden are portrayed through Alen MacWeeney's atmospheric photographs, while pictures from Vanessa's family album convey the flavour of the household in its heyday. 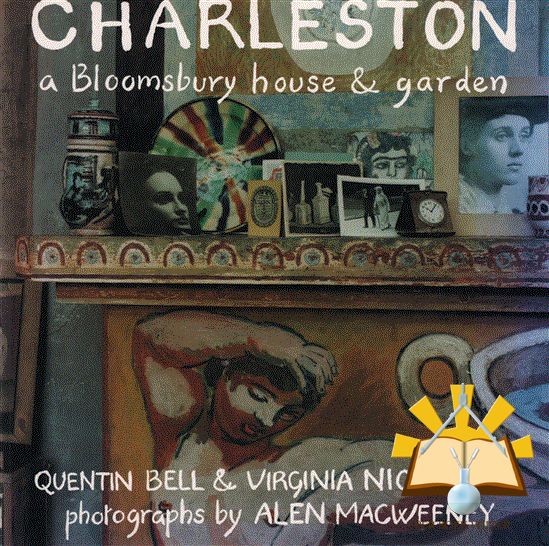 Quentin Bell, the youngerson of Clive and Vanessa Bell, grew up at Charleston. He was a painter, sculptor, potter and art critic, and held chairs in Fine Art and History of Art at the universities of Leeds, Oxford and Sussex. His books include the prize-winning Virginia Woolf: A Biography and Elders and Betters, profiles of prominent Bloomsbury personalities. Virginia Nicholson is the elder daughter of Quentin and Olivier Bell. She lives in Sussex near Charleston, is a member of the Charleston Committee and is the author of 'Holidays at Charleston' in A Cezanne in the Hedge. Alen MacWeeney's work has been the subject of several exhibitions and is part of the permanent collections of many American and European museums. A great Bloomsbury enthusiast, he took the photographs for Bloomsbury Reflections.